Rectangle Clamshell angles in to provide ease when getting the soap out. The top of bar measures 1.875" x 3.0" and the bottom is 2.1" x 3.25"
"Slanted sides, smaller than claimed"
COMMENTS: I was very dissapointed with these. The photo shows a straight sided rectangular mold, what I got tapers. The description also gives the size at 2.1” x 3 1/4”, mine are 1 3/4” x 3”. A small but important difference as I had 2” images to embed. They come connected and have to be cut apart first, and they were stuck together so tightly that several have broken from trying to separate them. I’m assuming these issues are part of the reason for the discount, but I would have preferred to pay full price and get what’s shown. "So great for a novice soaper!!" COMMENTS: These are beyond easy to use. Simply melt add fragrance and color then pour. I package the entire clamshell in shrink wrap for retail sale. COMMENTS: This makes my soap look more professional. I make my own label to put on the back. Easy for gift giving. Easy for shipping. COMMENTS: Great quick packaging for classes. "Clamshell used as soap cup"
COMMENTS: I absolutely love these clamshells. 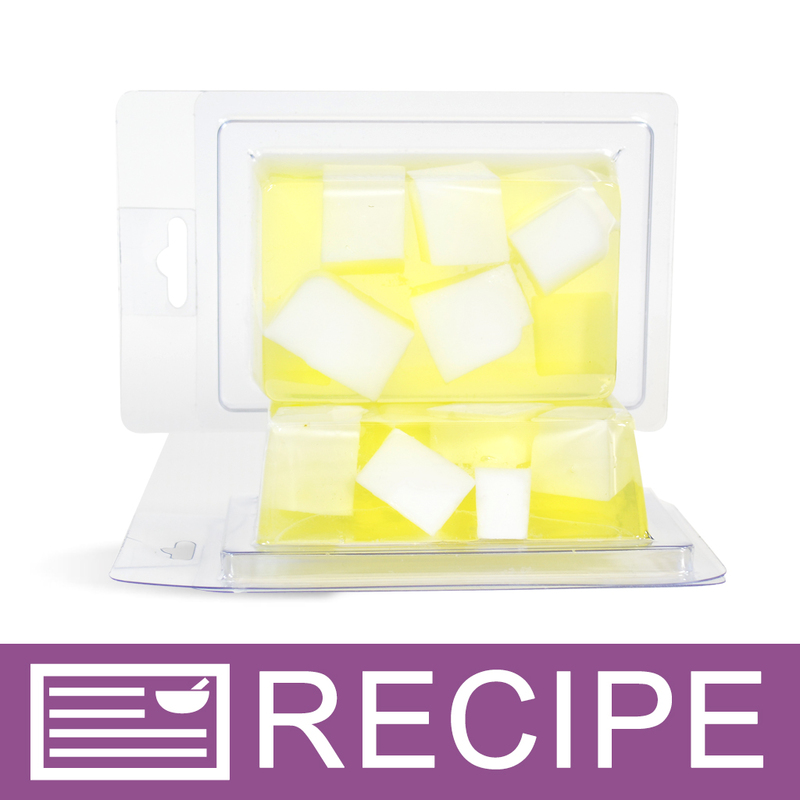 They are a great packaging solution for melt and soap. They are sturdy and secure. When I posted on social media that I was stepping up my packaging, my customers were elated and I got more sales that day. My soaps are so professional looking. They make stacking for restocking easy and proficient. I also like that they are store ready and can be hung from a rack as well. COMMENTS: Great product !! Will recommend this item anyone. Easy to mold and pack to sell. COMMENTS: These molds are more sturdy than I thought they would be, and they look very professional. I cut off the hole-punched area because I don't hang them. "It's fine if you have a hanging display. " COMMENTS: Works great. Fill, Label, & Go! I love it. COMMENTS: This first time I used these Clamshell molds I was a little hesitant, but after seeing the ease and efficiency I am sold on using them for all my MP products. "Convenient Easy to use - Love this product!" COMMENTS: Convenient Easy to use - Love this product! COMMENTS: I love these molds. I use them as molds and then reuse them. Just don't pour too hot or they will warp. Fantastic deal! COMMENTS: These are the perfect packaging for my melt & pour bars. I can pour directly into them, and the it's just a matter of letting the soap cool, putting on the lid and adding my label. Couldn't be simpler and it really streamlines the process, especially for large orders. I also like that they can hang. This is great for display in shops. The only change I would like to see is to have one slightly larger, to make a full 4oz bar. This one is close at 3.85 oz but not quite a full 4. Other than that, they're perfect! "Excellent product all in one." COMMENTS: Excellent all in one. Love this no mess to clean up. So so easy to use. "packaging and mold in one!" COMMENTS: these are so perfect and easy to work with. just pour your soap, let it dry then slap your label on it and you're good to go! COMMENTS: My customers seem drawn to this packaging no matter what has been packaged in it! And they are so easy to work with! I will be buying many more! • Makes products look extra professional!! "Excellent for Melt and Pour Soap"
COMMENTS: Used these for melt and pour party favors. The girls loved them and they have a nice area for labeling. COMMENTS: These clam shells have cut my packaging time in half. They are clean and very professional. COMMENTS: I bought one clam a while ago and just tried it. It was easy to pour in, looked professional and cuts down on having to wrap each soap. I just order 50 more as i am getting ready for spring fairs. Looking forward to showing these baby off. COMMENTS: These are great quality clamshells and keep your product protected. I used them for lotion bars but they would also be great for soap. COMMENTS: This is so perfect for soap, But I also package 3 lip balm in it with a little crinkle paper and sell it as a 3 pack special. "Perfect Makes Soap Look So Professional"
COMMENTS: These are so nice. They make melt and pour look so professional and they are so easy to use. If you're doing a farmer's market or craft fair these work great. "Not just for soap use"
COMMENTS: I like to have one of these on standby when I make a large batch of soap for leftovers, even if it doesn't fill the mold. 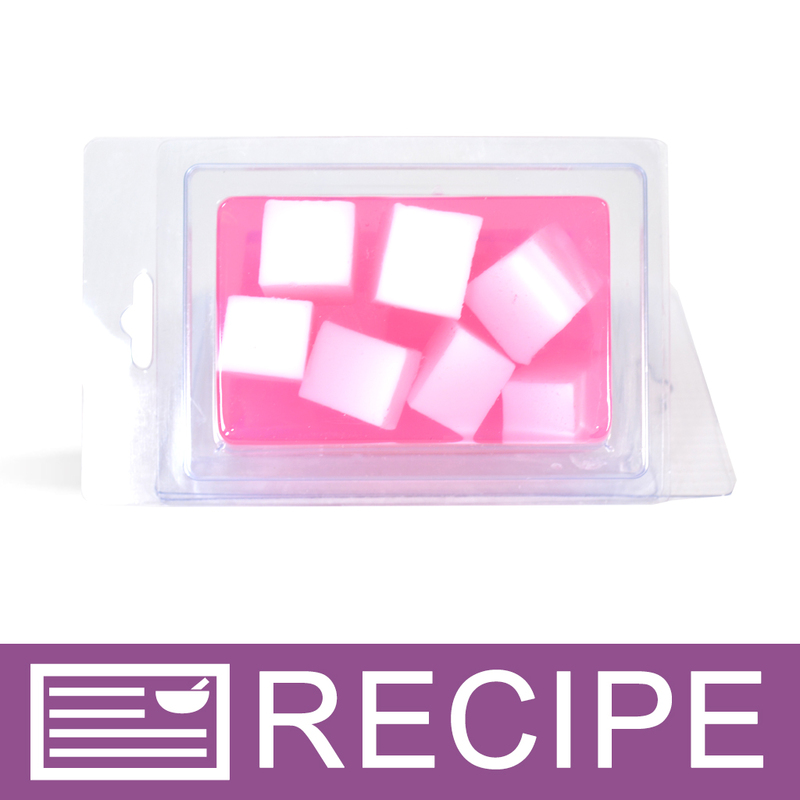 I've used them for solid sugar cubes and bath melts also. That way I can just cut the bar into cubes. They're afordable to use for soap experiments too. COMMENTS: These clam shells are perfect for fast melt and pour applications. After the soap cools, you put the lid on then label. BOOM your good to go!!!! Its ready for display very fastly. It gives my product a very professional look, and makes displaying soooo easy. It saves the step of having to unmold your soap, then package. Saves a bundle of time. COMMENTS: I use these for melt and pour soap. They are very easy to use. You don't have to worry about getting the soap out. Just pour, let it set and then pop on the lid, label and you are done and ready to sell. Love these clamshells. Thanks. 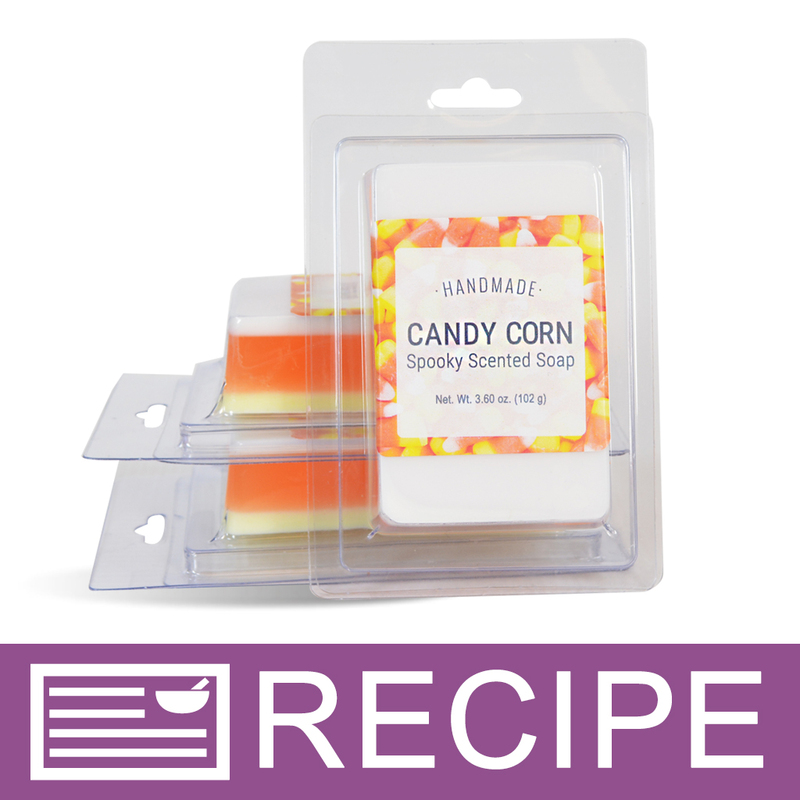 COMMENTS: I teach M&P classes at my children's school and love these for each child to design their own soap to take home with them at the end of the day. The lids fit perfectly so they don't spill if the base hasn't set up yet. COMMENTS: These make great bars of soap and are so easy to use. I love the fact that you can transport soap to shows without damaging the bar. COMMENTS: These clamshells make great packaging for my soaps. They're super convenient and I'll be buying them again. Before I bought a whole bunch though, I bought a few to try the product. I see that it's no longer possible to do that. I hope WSP changes back to allowing small quantity purchases so we can be sure we love a product before committing the funds and space to a whole bunch. Company Note: Look for more sampler sets to be added to the site. We can't offer small quantities and free shipping so the smaller count was eliminated. COMMENTS: Boy does using a clamshell save time and energy. Thes are so easy to use and good quality too. COMMENTS: I LOVE this product! I was so sad when it was discontinued, and so glad it's back! I have ordered clamshells from other companies, but the others were not near as sturdy as these--than can be used more than once and still be ok, and can take a hotter temperature. I'm can't wait to order a whole bunch of them for the class I teach! COMMENTS: Compare making 100 bars with these as opposed to other types of packaging, these save hours of labor, also look neat and professional. Having separate lids instead of a hinged container also a plus,leaves more space for better productivity. Well worth the money! COMMENTS: Fantastic!! So easy to use and a 2"x4" label works so great on finishing up the packaging!! "The images show that the soap appears to be slightly tapered. Are the soap dimensions listed for the smallest part of the bar, or the largest?" Staff Answer The bar measures 3 1/8" at the bottom and 3" at the top. "What size labels are recommended for this clam shell?" Staff Answer The dimensions of the mold are listed on our website. We would recommend a label placed on the back so you can see the soap from the front of the clamshell. 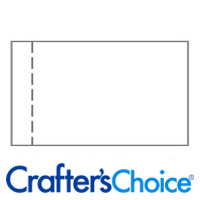 You can choose a rectangle, square, oval or even round label. "Are these hinged? Are all your clam shells hinged?" Staff Answer This is not hinged. They are two separate pieces that fit together to create the clamshell. Most of our clamshells are this way. We carry one hinged clamshell, "Clamshell with Hinged Lid - 6 Medium Squares." "Are the dimensions for the clamshell mold the dimensions of the soap after its molded or is it the Dimensions of the mold put together? I am trying to figure out what label sizes to get for the back." Staff Answer The dimensions provided are for the finished bar of soap, not the clamshell itself. "I had a tough time unmolding my bar of melt and pour soap. Did I do something wrong? Is there a trick?" You can try popping it into the freezer for about 15-20 mins, then take it out. It should help with unmolding. "Will m and p sweat or shrink in this packaging? " M & P sweats if its not in a shrink wrap type covering. I have not had a good experience with the clam shells, but I am just one of many. they are cute and work well as molds, but I pop them out and wrap them to protect them from sweating. i use this product for my M&P goats milk , after it's sat for 24 hours .. i pre-pop it out an then place it back in so it's a lot easier for the customer to get it out initially an never had any sweating problems an my store is super humid when i don't have the AC on like when i'm closed for the night or weekend. "Can you use this with cp or will it get too hot and warp? Also how easy is removal with cp if it works?" Staff Answer The maximum pour temperature for our clamshells is 180°F. since CP temperatures can exceed that temperature I would not recommend them for use with CP. However, if you decided to test this anyways I would recommend greasing them first to aid in unmolding. "Would these clamshells work well for shipping soaps during the summer? If the soaps melt during shipping would they leak out of the clamshell? " Staff Answer Once sealed the clamshells should not leak, even if the soap melts. We filled one with water and shook it vigorously to test. a few drops of water did leak out but during normal shipping conditions MP soap should not leak out.